Page Street Publishing, 9781624148385, 192pp. Put produce in the center of your plate with these flavorful, satisfying, addictive dishes—and yes, we’re talking about vegetables! 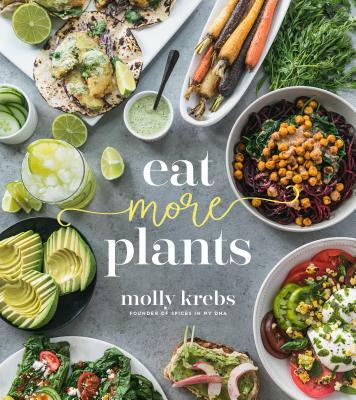 Molly Krebs, creator of the popular blog Spices in My DNA, turns everyday veggies into meals you’ll crave. Vegetarians and vegans will find inspiring new meal ideas, and meat-eaters will discover the variety of tastes and textures that creative combinations of veggies can bring to the table. Get your vitamins with veggie-inspired sweets and cocktails, and mix and match easy, game-changing sauces to dress up lunch and dinner. Forget bland salads and boring sides—these recipes will show you how to love your vegetables.